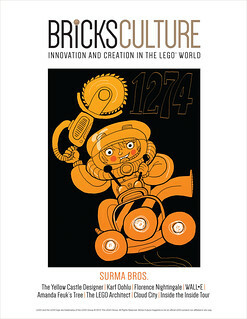 The latest edition of Bricks Culture has just been published. 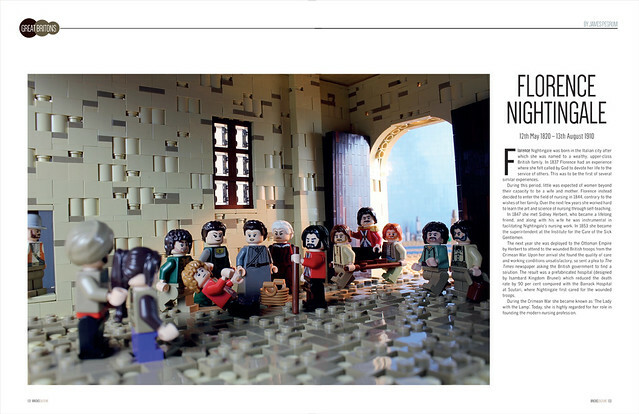 In our third edition we feature some of the most remarkable LEGO artists working in the world today. 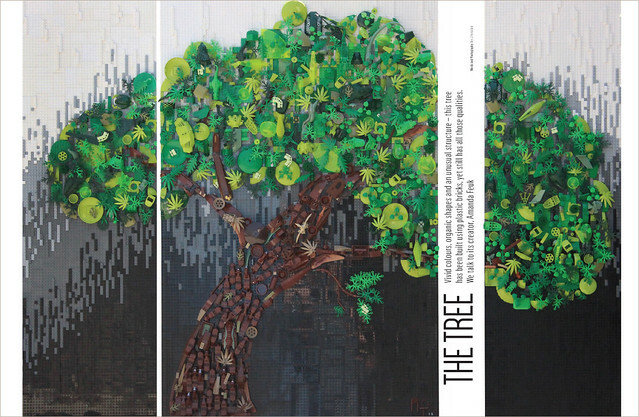 Both the incredible mosaic of a tree created by Amanda Feuk and the bizarre, hilarious creations of Karf Oohlu will inspire you with their novel use of pieces. We have more stunning creations from our Year 1 Guest Artists: James Pegrum was inspired by a visit to the National Portrait Gallery to create a vignette of Florence Nightingale for us, Chris McVeigh exclusively reveals the first holiday ornament design from his annual Build-it-Yourself project and Cole Blaq’s selections from his Enter the Brick series get decidedly edgier. We have more reports from Billund in this issue. 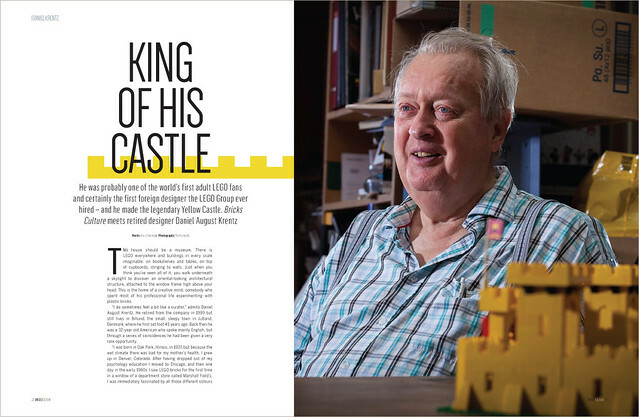 The Yellow Castle from 1978 is considered by many to be the greatest LEGO set of all time and so we tracked down its designer, the legendary Daniel Krentz. We also meet the people behind the LEGO Inside Tour which welcomes a handful of lucky members of the public into the LEGO Group’s most secret buildings. As always, we also look beyond the plastic. Our cover features the Surma Bros: two brothers from Poland who create beautiful illustrations inspired by the LEGO catalogues of their youth. We give a LEGO Minecraft set to a printmaker who hasn’t played with the bricks since childhood, to see what he comes up with. A fan reveals that he was so frustrated by the LEGO Architecture Studio book, he wrote his own. A long-suffering wife tells us what it’s like to be married to a man who is married to the brick. There’s so much more to discover within our 140 perfectly-bound pages. Cloud City, Chris Salt, Jason Freeny, David Alexander Smith, Mike Doyle, the history of embossed bricks… and find out the effect that the Stylophone had on giant Japanese robot minifigures from the future. 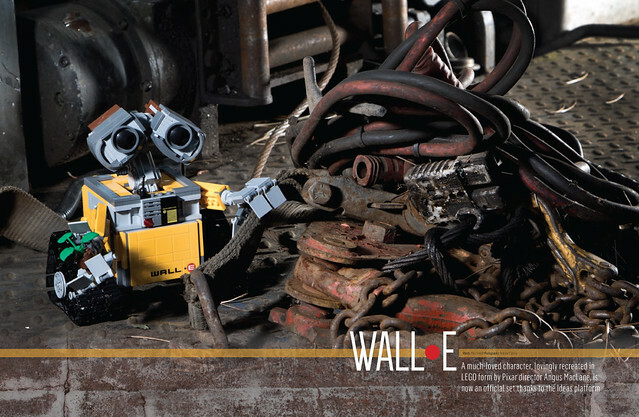 Oh, and we love the new WALL-E set so much, we dumped it in a junkyard. As seen on the documentary ‘The Secret World of LEGO’, Bricks Culture delivers a unique slice of the modern LEGO world to you each quarter with both style and substance. Issue 3 and back issues are now available exclusively from republic66media.com along with yearly and half-yearly subscriptions. 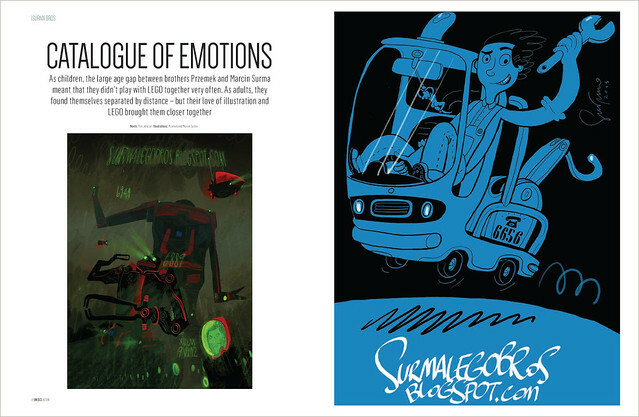 If that's not enough, as a special thank you to subscribers, two exclusive A6 art cards featuring the work of the Surma Bros will be included in this issue! Silly question, but I do not remember how many issues I subscribed for and I do not see a contact place on the link you provided to verify this. How would we know when our subscription expires? I love the art of Surma Bros! Are they making prints yet??? So many fantastic images based on 80's and 90's space sets! ra226, aren't they ace?! No they're not selling prints yet. But we have printed a whopping 16 of their works in this issue of Bricks Culture (many filling a whole page) and all subscribers also receive a special treat: two A6 artcards each printed with a work by one of the brothers. Thanks Tim! My fears were right, I had subscribed to only 2 issues of Bricks Culture. I immedialy extended my subscription. I particularly like this magazine. Great! So glad to hear it. I still have my yellow castle. My daughter plays with it when we visit my parents. The stickers are suffering and we are missing a red door, but it still builds fine. I was so lucky to get this set (£25 from Woolworths) as it has a great range of bricks and plates and base plates - you could makes loads of things out of it, and the colours matched. Never thought I would see who designed it. I might have to buy this edition. I got the last Bricks Mag, and it was very good. I don't want to subscribe though - I will hoard the mags! I'm a subscriber, I read my copy. It's excellent. All of it.